Perfectly acceptable short film. The animation is top notch, the songs are catchy, and spending more time with these characters is a treat. Still, the film is clearly missing something. Frozen Fever feels rushed, and it feels like a half thought out idea put to the screen before the final destination was known. It’s hard to get into a movie like that, and despite its quaint charm Frozen Fever is a movie that is hard to get into. Extremely handsome production. Wonderful sets, and costume design. In just about every way this felt like a stage play come to life in terms of the care and attention given to the little details of a production. Where that analogy ends is in the acting, the story being told, and the direction of Kenneth Branagh. This version of Cinderella is a lifeless entity. It sits on the screen, daring the viewer to find something, anything, to become interested in that isn’t tied to the production side. I tried, but there isn’t anything else to become interested in. Cinderella tries, but this is a case where the slipper does not fit. Only two movies this week and while neither blew me away there is a charm present with Frozen Fever that Cinderella is definitely lacking. 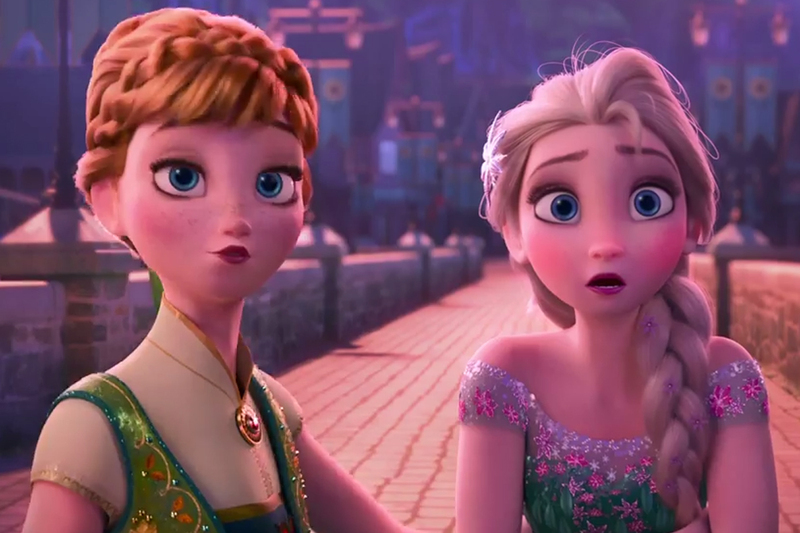 For that reason Frozen Fever takes home movie of the week honors. Until next week, watch more movies! This entry was posted in 2010s, Chris Buck, Jennifer Lee, Kenneth Branagh, This Week In Cinema, United Kingdom, United States Of America and tagged 2010s, adaptation, animation, drama, remake, sequel, short film, united kingdom, united states of america. Bookmark the permalink.